Hi there. 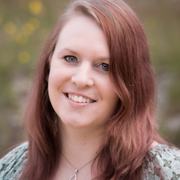 My name is Marin and I have been a childcare provider in Austin for over 18 years now. I am a certified Newborn Care Specialist through the Nanny Academy of Austin. I've also been with Nannies from the Heart for a little over ten years now. I was born and raised here in Austin. I love my city dearly. I started baby sitting in middle school for several neighbors. By the time I was in high school I had gotten a job as a preschool teacher at the Greenwood school in south Austin. A few years after high school I joined Nannies from the Heart. I worked for several families through the agency. I also worked as a two year old teacher at a daycare as well. Since then I have been working PT and FT for several families over the years. Even though I specialize in newborn Read more care I enjoy working with children of all ages and friends refer to me as the baby whisperer. Please feel free to contact me with any questions and for references, and letters of recommendation. Thanks. Take care! Marin has been nannying/babysitting for us 10 hours a week for the last 5 months. She is very punctual and responsible, but most importantly she seems to really care about and love my daughter. When Marin started my daughter was 6 months old and experienced some separation anxiety. Now my daughter smiles and bounces when Marin arrives. Marin has been a great asset to our family. Jamie M.
Marin babysat my 3 month old daughter, and I would highly recommend her. She was very punctual and responsive when we were inquiring with her on her availability and experience. She was very sweet and caring with our daughter and did a great job, considering it was the first time she had been left with a sitter. We hope she'll sit for us again!